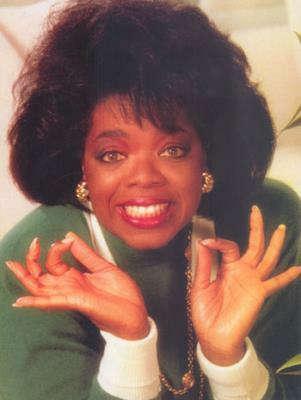 Mega media mogul Oprah Winfrey is known world wide, her accomplishments are too vast to list. She is the richest African-American of the 20th century and also the largest black philanthropist in American history which is to be commented. She is one of the most influential women in world. So influential she is now a Bilderberg member. That's huge - If you are into dominating the world type of stuff. 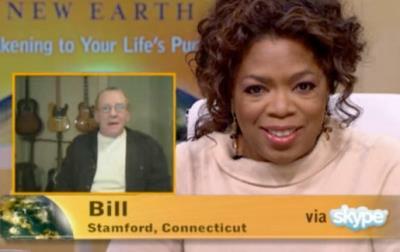 Oprah via her media outlets passionately pushes the New Age Agenda. The New Age Movement does not have churches, official writings or doctrines but is instead loosely based on ancient pagan and eastern religions such as Buddhism and Hinduism. It merges these early eastern religions and traditions with self-help, holistic health motivational physiology, philosophy and quantum physics. The idea and goal of New Age is to “Reach Oneness” with self and unlock your true "unlimited potential". To create a spirituality without borders or confining dogmas via meditation and mysticism. It's the occult with water added put simply. 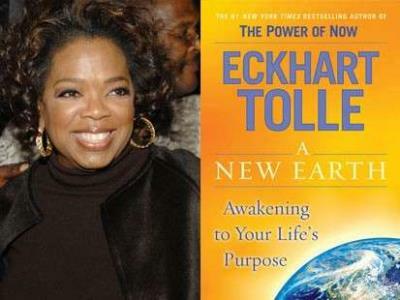 In 2008 Oprah began webcasts with New Age author Eckhart Tolle who wrote a book entitled: A New Earth: Awakening to Your Life’s Purpose (pictured above). 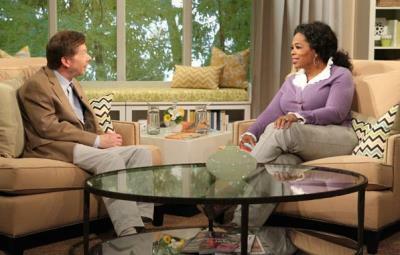 Eckhart Tolle was unhappy, depressed & unemployed until he was 29. At that time he claims he had a "inner transformation" and it changed his life. Basically, he started practicing the occult and all it got better, fast. Now he peddles this dangerous information for profit, sort of like J.K Rowling of Harry Potter fame. Do to her influence and immense profile Oprah is literally leading millions to the New Age Agenda to their own detriment.